As seen on BBC2….8pm April 20th and 27th. The Caravan Club is the largest touring organisation of its kind, representing over one million caravanners. 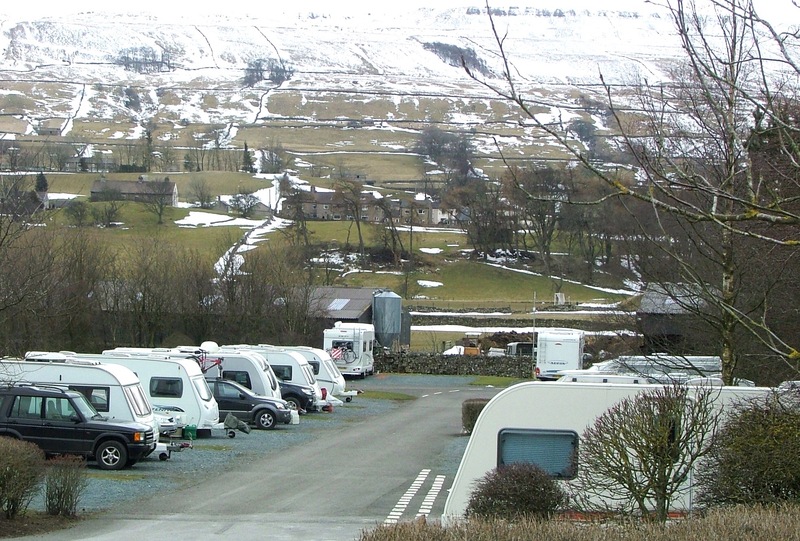 As a champion of the great outdoors it is committed to raising the positive profile of caravanning for the benefit of members and the industry as a whole. The Caravan Club allowed the BBC to film its ‘Caravanner of the Year’ competition that celebrates this Great British pastime which is held in high affection. Six top enthusiasts, (all Club members) battled it out across two highly charged weekends to win The Caravan Club’s inaugural competition and the coveted title of ‘Caravanner of the Year’. It’s the caravanning world’s “Great British Bake Off”. The programmes – which will be aired on BBC2 at 8pm on 20 and 27 April – follow the fun, and drama, of how the motorhomers, caravanners and campervanners competed against each other. The enthusiasts were faced with a variety of challenges covering activities such as manoeuvring, navigation, hospitality and caravanning knowledge. There was also the precision challenge of the Concours D’Elegance which demanded much polishing and primping of their vehicles! Judges for the competition were Grenville Chamberlain, Chairman of The Caravan Club and motorhome maverick and journalist Andy Harris. Guest judges Lucy Jayne Grout, a specialist in vintage caravan restoration and Martin Dorey, the Camper Van Cook, both utilized their expertise to assess the competitors. Scenic Ferry Meadows Caravan Club Site was the backdrop for the competition and on the Finals weekend all site visitors enjoyed an impromptu party with the finalists to celebrate the competition. BCA caravan and motorhome sales move to Nottingham. As the summer heatwave arrives at last, the thought of a staycation in the UK becomes even more appealing. And more and more people are enjoying a break in their own caravan or motorhome so they can enjoy the best of British summer weather, whenever it arrives. To meet the growing demand, BCA now stages a twice monthly Caravan & Motorhome sale at the Nottingham centre, with sales taking place every second and fourth Thursday of the month. With a wide range of vehicles to suit every budget, the early sales have attracted large crowds with nearly 100 motorhomes, RVs and caravans sold. The next Caravan & Motorhome sales, scheduled for 9th and 23rd July, are also expected to create a lot of interest. The sale is entirely undercover with pre-sale viewing from 9.00 am, while the motorhomes are driven and the caravans towed past the rostrum, giving potential buyers every opportunity to see the vehicles. 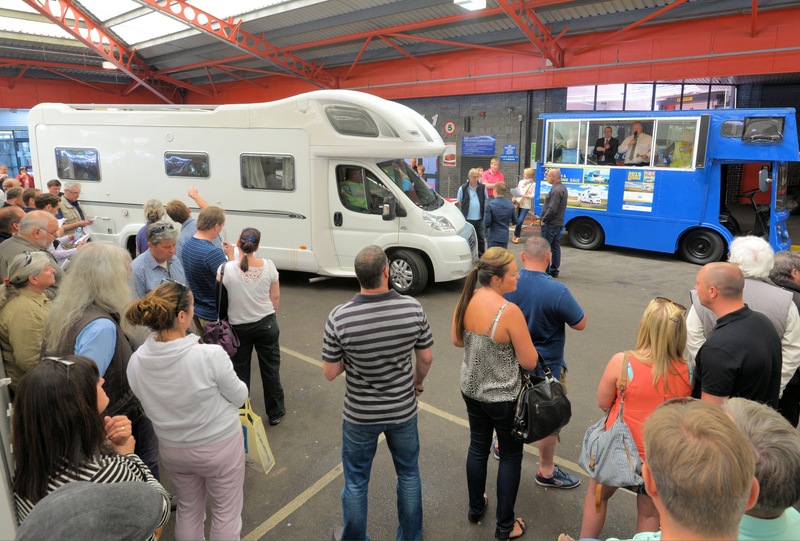 BCA’s UK Operations Director Simon Henstock commented “The first sales at the BCA Nottingham centre at the start of June attracted big crowds of buyers who bid strongly on a range of vehicles, from caravans to luxury motorhomes. And we’re expecting strong demand for the July sales too, as there are vehicles to suit every budget”. Vehicles lined up for the 9th July sale include a 2010 Auto sleeper Broadway Motorhome, 2011 Auto Trail Frontier Comanche Motorhome and 2014 Bailey Unicorn Barcelona Caravan. Sales start at 12 Noon. The National is at Cornbury Park, Oxfordshire. The National is a highlight within The Club’s calendar, attracting around 5000 people over the May bank holiday to experience a host of family fun and great entertainment. This year’s evening acts include Bee Gees and Buddy Holly tribute acts and the fabulous Beyond the Barricade show featuring songs from the great musicals. Daytime fun includes; arena displays, workshops, hundreds of trade stands and loads of outdoor activities, including the now famous, tug-of-war competition! 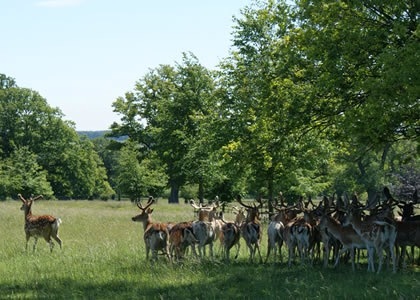 The magnificent venue, home of Lord and Lady Rotherwick, was originally a royal hunting lodge and is situated close to the delightful Cotswold village of Charlbury. This year the event is open to day visitors from the local area, with free of charge entry after 5pm. 2015 is expected to be theYear of the Motorhome as January gets off to a strong start with bold tourers getting out and about, whatever the weather. The Caravan Club is excited to see the first month of the new year has seen an increase of over 7% in occupancy across its UK sites network. With over 200 sites, from the very top of Scotland to the tip of Cornwall, it seems the weather has not deterred caravanners and motorohomers from heading out across the UK. Meanwhile, forward bookings for the rest of the year also suggest that 2015 is set to be a busy year. Each December The Club releases its pitches for booking for the forthcoming year and since that date (3 December 2014) over 800,000 nights have already been booked. 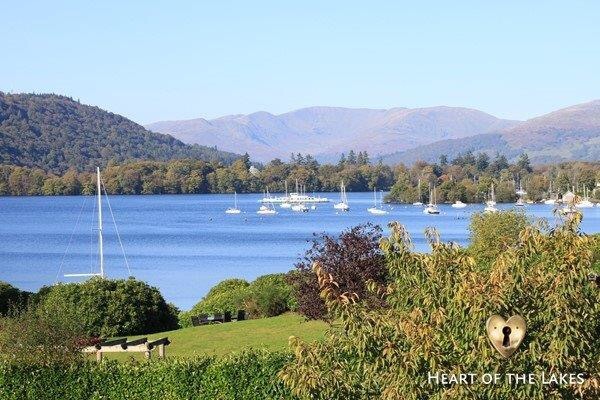 The Club believes that tourers are more relaxed than other types of holiday makers, after a recent member survey asked them about how they feel. The results showed that they were more likely to give a rating of 1 or less out of 10 for feeling anxious, which is 8% lower than the national average. Showing that, as a group of people, caravanners and motorhomers are less anxious and less deterred by inclement weather. 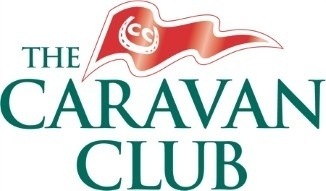 Visit The Caravan Club website. …..and just in case you were wondering! 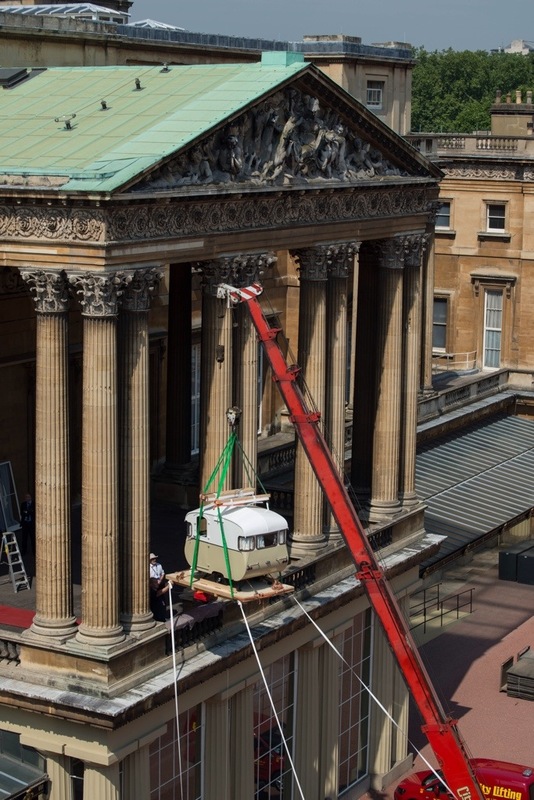 This is how the Royal Caravan got into the exhibition at Buckingham Palace. A Fabyouless Glamour Vanning Weekend in London. The Caravan Club – in my opinion – does loads to promote motorhoming, caravanning and trailer tenting. 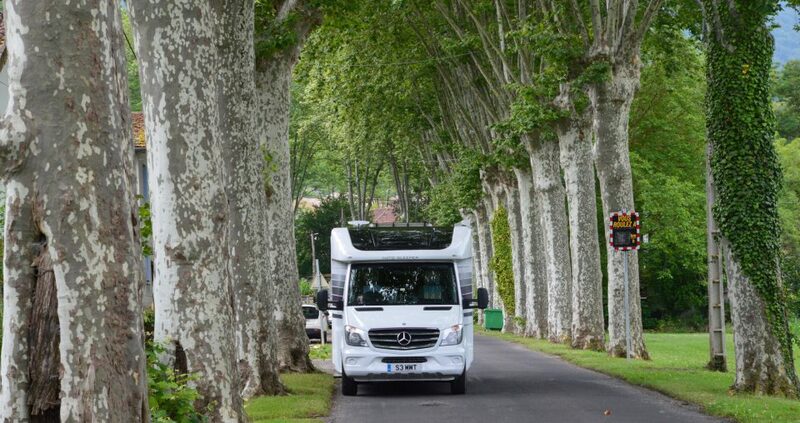 For my motorhome interests there are countless examples – from the Motorhome Design and Drive awards, motorhome driving training and a raft of escorted tours as well. However, my prize for extreme, outrageous and brilliant originality goes in fact to a caravanning promotion this weekend in London! Read on! Glamour Vanning – a South Bank Premiere! Many people’s perceptions of caravanning are still stuck in the beige days of the seventies, so shake off those images and come along to The Queen’s Stone Riverside Walkway, OXO Tower Wharf, on the South Bank, London, on Saturday 29 or Sunday 30 March to see how things have changed! There will be a display of aesthetically pleasing and funky new caravans – the innovative new T@B travel trailers. Their unique, seamless, aluminium-insulated shell construction offers high quality external and internal fittings, making them the perfect vehicles to use as holiday bases; whether going on wild bungee jumping holidays or simply enjoying the peace and tranquility of the countryside. Seeing caravans in such a unique location will be unusual enough in itself, and that is only the beginning of what will be on offer during the ‘Glamour Vanning’ event. The Caravan Club has teamed up with the gorgeous people at Fabyouless Card. The Fabyouless Card enables people to enjoy a 25% discount at over 1200 leading beauty salons, nail bars, hairdressers, spas, clinics, gyms and personal trainers – nationwide. During the weekend a beauty therapist from Fabyouless will be offering free ten minute treatments and consultations to people attending the event – an ideal treat for mum during Mother’s Day weekend. This really is Glamour Vanning! There will also be entertainment throughout the weekend. Singer Talia Janson, who toured with JLS on their Stadium Tour, will be performing for the crowds on both Saturday and Sunday. Talia is also currently starring in the new TV series ‘Surrey Hills’. A Fenland caravan park has won an award for being one of the country’s best campsites. Fields End Water Caravan Park and Fishery near Chatteris was judged the best site in the Heart of England region in this year’s AA Caravan and Camping Awards. 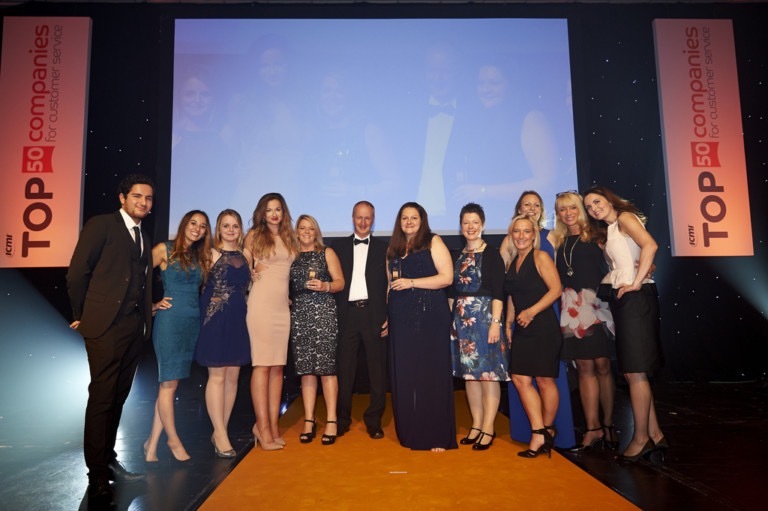 Owner Charlie Boughton, who is also a member of the Fenland Tourism Board, said: “Naturally, we’re delighted to win this. It’s a big pat on the back for us – a real achievement. “But what’s really great is that it’s more recognition for Fenland which hopefully will help to bring more people here. That’s got to be good for the whole local economy. Fields End Water has also just been accepted for affiliation to the Caravan Club – an extra feather in its cap that will give it another boost. “It’s something that gives us a much bigger spread of potential customers,” Mr Boughton said. Mr Boughton will pick up the AA award at a special ceremony in Bristol on March 25th.